Angeletaki, A. and S. O. Johansen (2013). “Implementation of 3D tools and immersive experience interaction for supporting learning in a library-archive environment”. Visions and challenges. CIPA 2013. Strasburg. Carozzino, M., A. Angeletaki, et al. (2013). “Virtual technologies to enable novel methods of access to library archives.” SCIRES-IT : SCIentific RESearch and Information Technology 3(1): 25-34. “Mubil : A digital laboratory. Museum and the web.” San Diego, 2012. Angeletaki, A. and M. Carrozzino (2013). 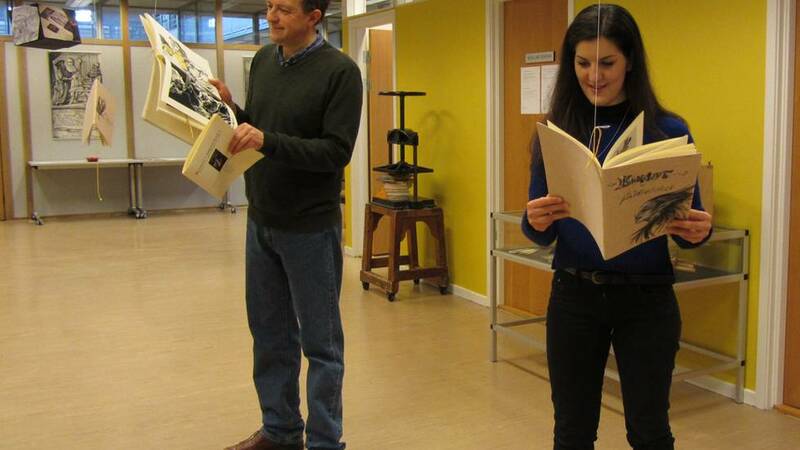 “Seeking knowledge in an Immersive Experience Environment.” A case-study by the NTNU University library of Trondheim. Cultural heritage, Creative tools and Archives. Copenhagen. Angeletaki, A., M. Carrozzino, et al. (2013). “Information landscapes for the communication of ancient manuscripts heritage.” Digital Heritage International Congress (DigitalHeritage), 2013. Marseilles. Angeletaki, A., M. Carrozzino, et al. (2013). “Mubil, creating an Immersive Experience of old books to support learning in a Museum-Archive environment.” Lecture Notes in Computer Science 8215: 180-184. Angeletaki, A., I. L. Dominguez Marquez, et al. (2012). “MUBIL – a digital laboratory : creating an interactive library experience.” Det 73. norske bibliotekmøte. Stavanger. “Experience interaction for supporting learning in a library-archive environment. Visions and challenges.” International Archives of Photogrammetry, Remote Sensing and Spatial Information Sciences XL-5/W2: 37-41. Angeletaki, A., M. L. Jaccheri, et al. (2012). “Mubil prosjektet av NTNU univeristetsbiblioteket.” Culture and the web. Stavanger. Angeletaki, A. (2013). “Bøkenes virtuelle verden!” SPOR: 42-45. Angeletaki, A. (2014). “Mubil:Fremtidens Digital bibliotek.” Bibys konferanse. Trondheim. Angeletaki, A., M. Carozzino, et al. (2013). How is the use of Virtual Reality technology challenging the museum- library sector? The case of the University Museum and Library of Trondheim, Norway. CAAUK2013. London.